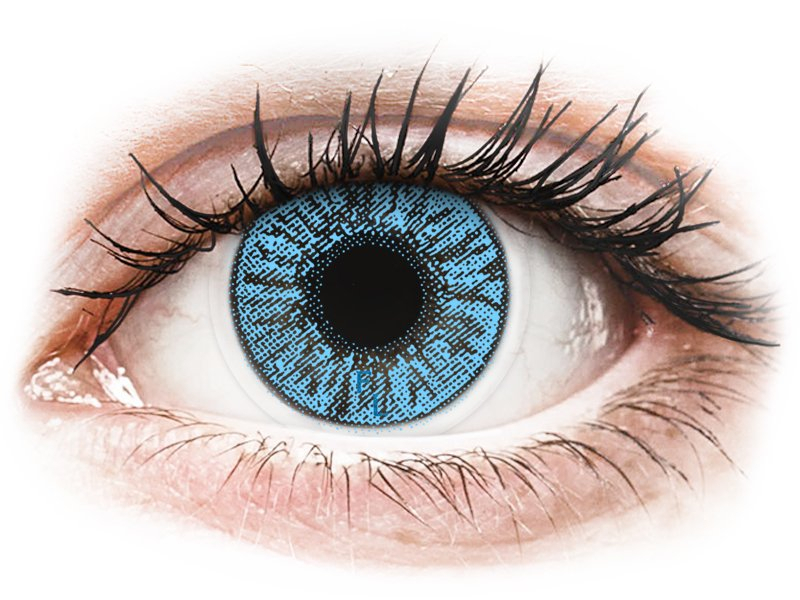 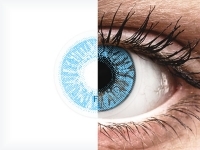 FreshLook Colors are coloured hydrogel contact lenses with dioptric power produced by Alcon, which considerably overlap darker shades of the iris. The lenses contain a UV filter and inside-out indicator that allows easy application. Each package contains two lenses with a monthly replacement schedule. 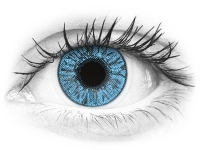 The final effect of coloured contact lenses varies from wearer to wearer. Colour shade is influenced by many factors, the most important being the natural colour of the iris of the eye. Darker irises are more difficult to overlap than light. The overall impression of the colour change is also influenced by the colour of the wearer’s clothes and accessories and by lighting conditions. The effect will appear different in artificial and natural light. 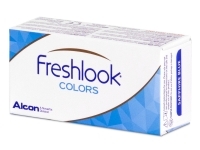 FreshLook Colors are suitable for occasional or everyday wear, and they are not intended for sleeping.